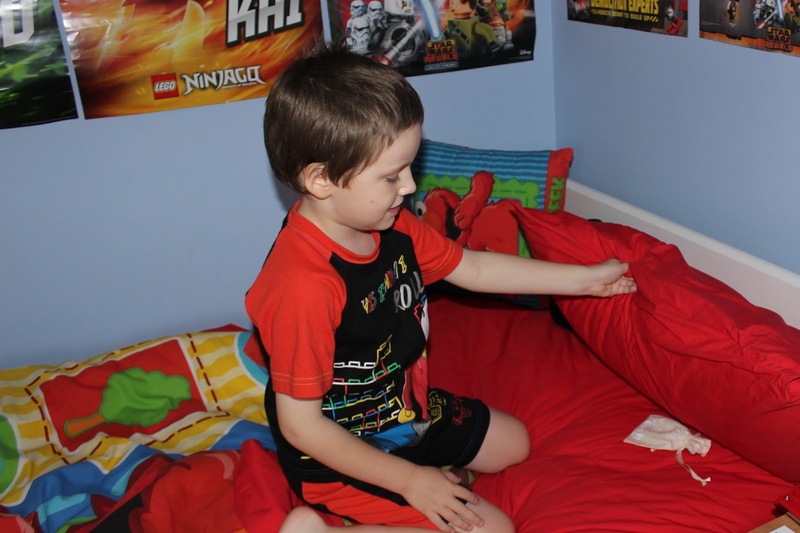 My six year old recently lost his first tooth and was very excited about the Tooth Fairy coming to visit. His tooth was in a small green box, but this kept coming open and he was afraid of losing his tooth before the Tooth Fairy could take it away. It was my Cricut machine to the rescue as I created a simple design in Design Space and cut using iron on vinyl. I then placed the design on a drawstring bag. My son placed his tooth in the bag and closed it up tight. 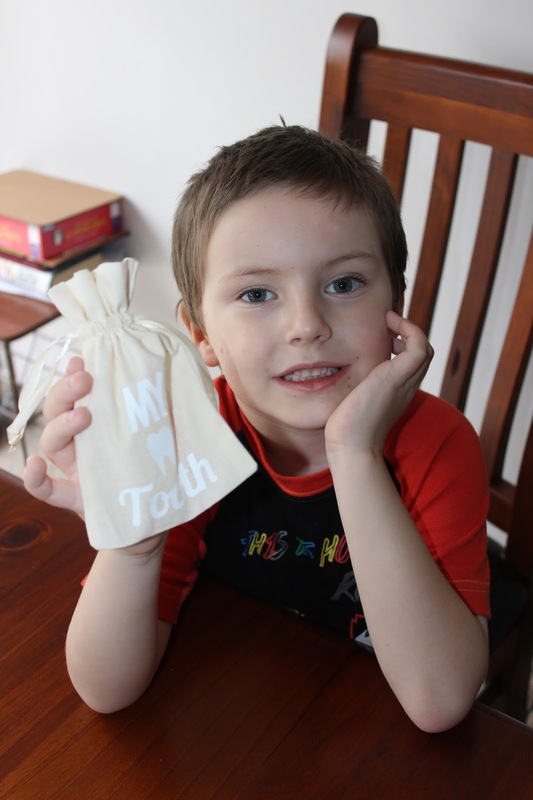 Here you can see the design on the bag- it was very quick to create and I only had white iron-on, but it was enough for my son to feel that his tooth was secure and safe! 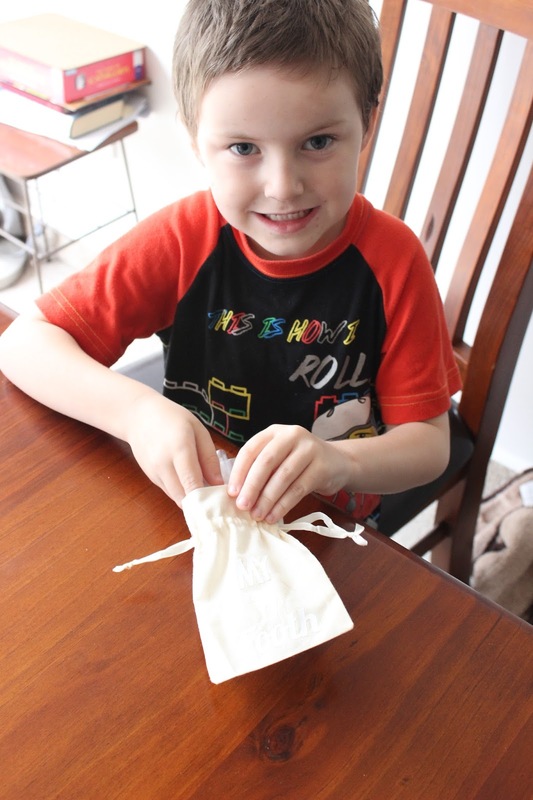 The Tooth Fairy bag went under his pillow, ready for the Tooth Fairy to collect during the night. 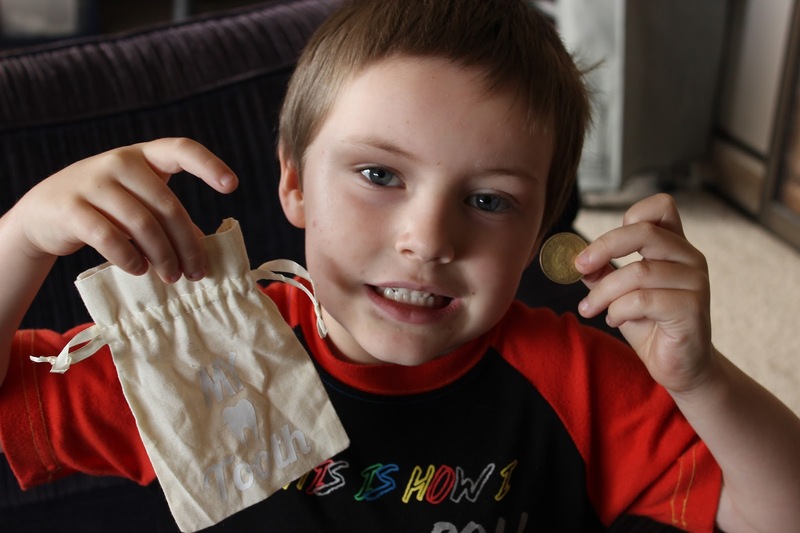 In the morning, the tooth had disappeared from the bag and in its place was a shiny coin! This bag will be put to future use for subsequent teeth, and my younger son has requested one too. 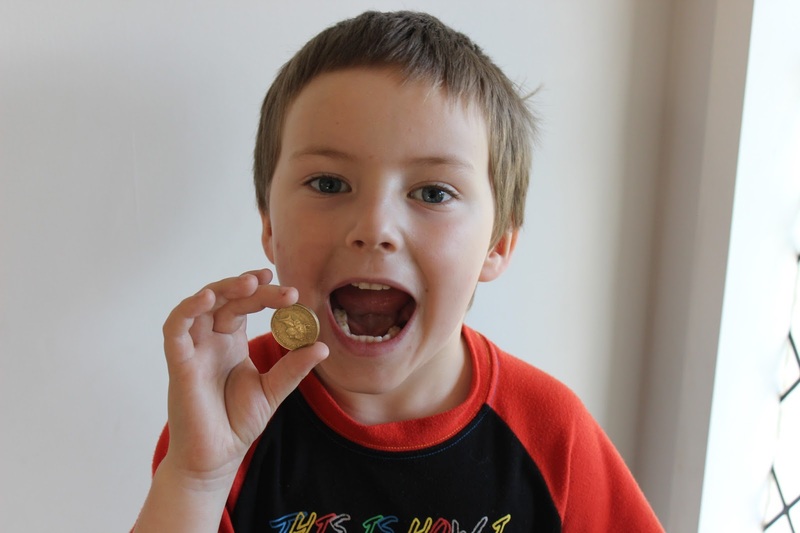 Do you remember when you lost your first tooth?